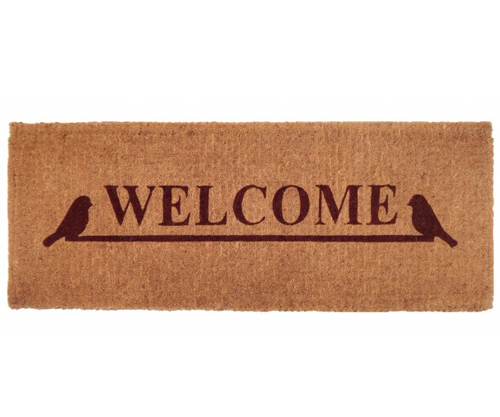 This long vinyl backed doormat has a pretty, classic design of the word Welcome and two little birds in a deep rusty red / brown colour on a natural coir background. 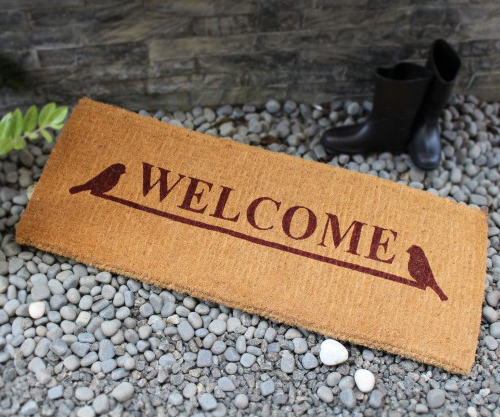 Made from natural coir fibres (from coconuts) this doormat is handwoven and has great scraping properties and measures 120cm x 45cm and approx 4cm thick. 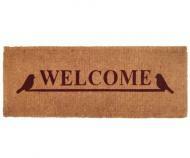 The colour dye penetrates deep into the coir fibres for a longlasting finish.